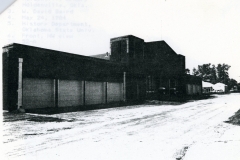 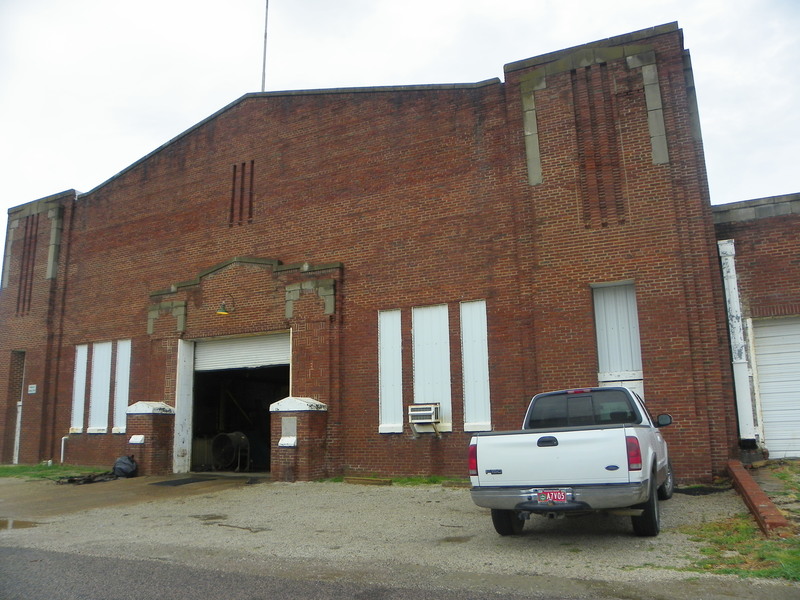 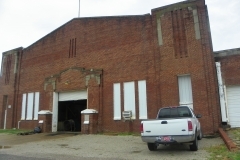 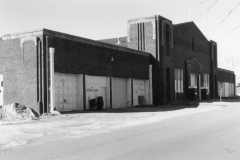 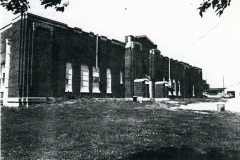 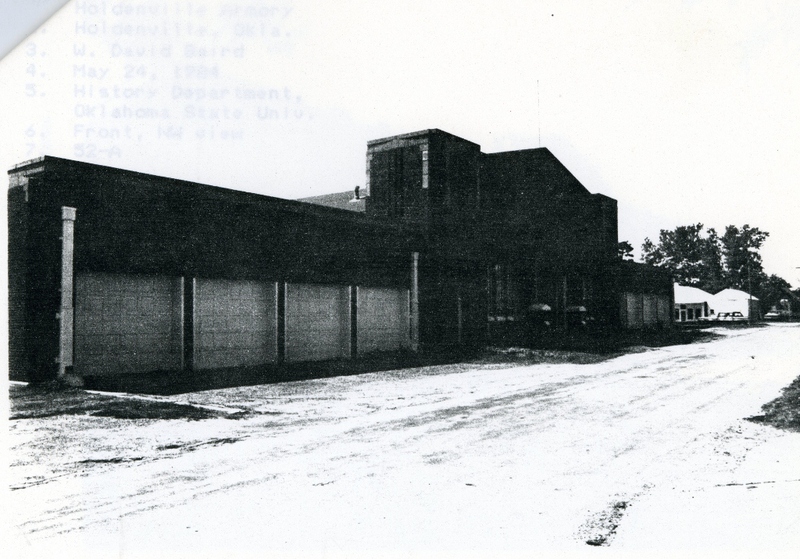 The Holdenville Armory is a single story, rectangular (100′ x 198′) structure constructed of red bricks. 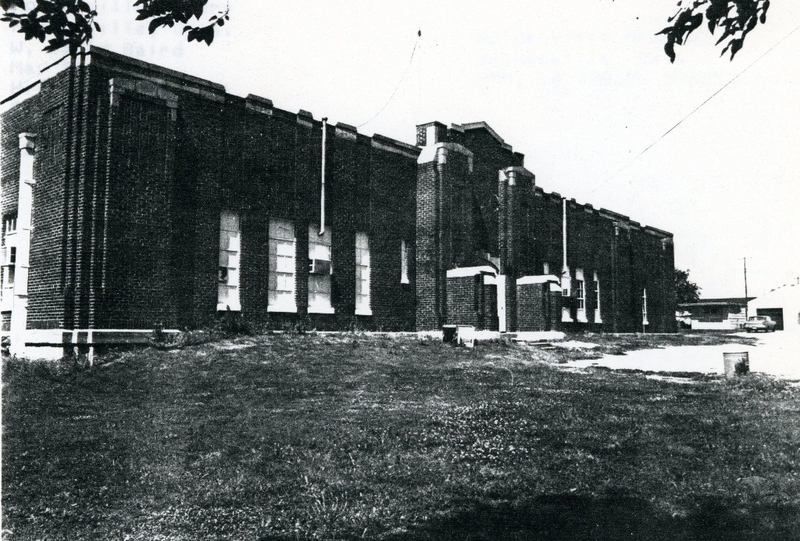 The high ceiling central portion of the building has an arched roof, while extensions on either side have flat roofs. 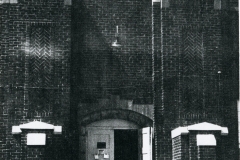 Metal casement windows are placed singly. 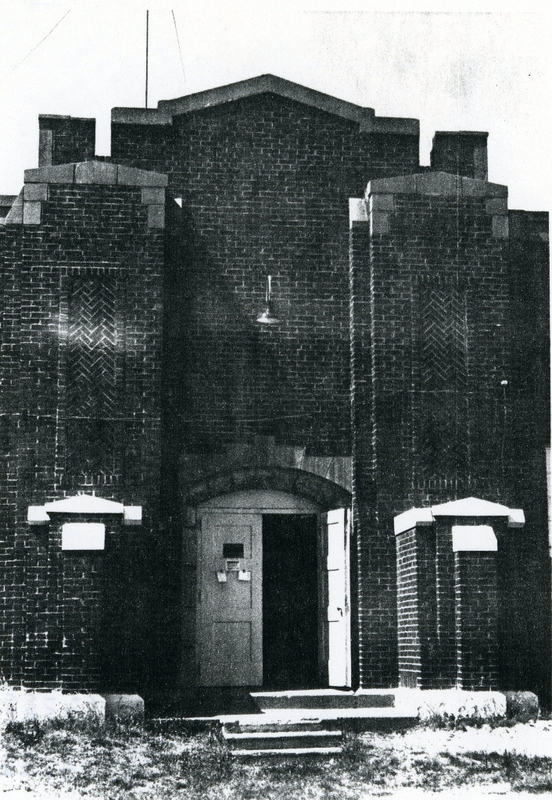 Simplified, stepped pilasters with decorative brickwork at corners and doorways as well as cut limestone caps on the parapets provide an art deco allusion for the building. Eight garage doors open to the west. As a WPA building, the armory is exceptional for its use of brick construction materials and decorative pilasters. Architecturally it is unique within the Holdeville community in terms of type, allusion to art deco style, scale and character of workmanship. 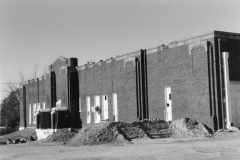 Construction of the armory provided job opportunities for destitute oil field workers at a time when there were few within the region. 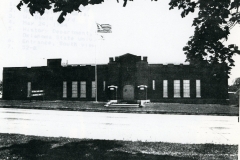 It is also significant that the building itself contributed to the military preparedness of a National Guard unit that distinguished itself during the course of World War II.